Harold Jellicoe Percival, a veteran of Bomber Command in WWII, died last month aged 99. 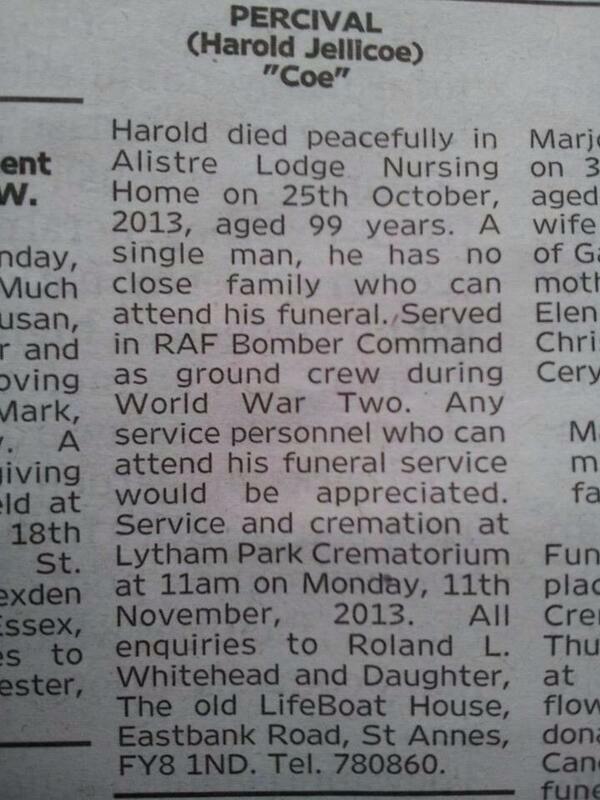 The death notice in his local paper said that there was nobody to attend his funeral. Twitter picked up the story, in the hope that somebody might be able to attend. 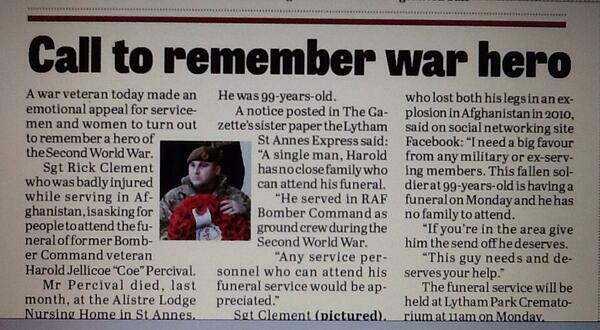 His local paper, the Blackpool Gazette, also covered the story. 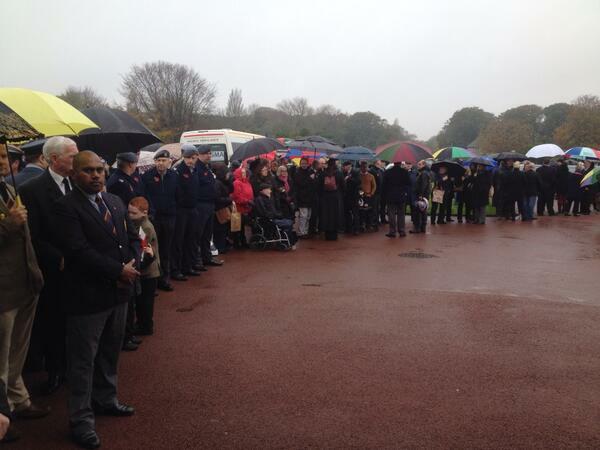 And as a result today, at 11 a.m. on Armistice Day, hundreds of people — service personnel and civilians — gathered in the rain at Lytham Park Crematorium to pay their last respects to Harold. 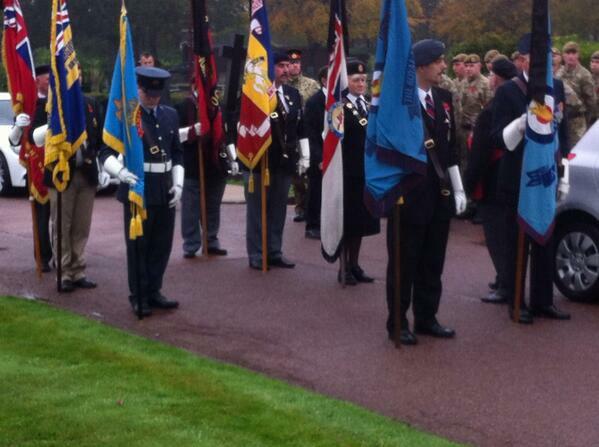 Hundreds turn up for funeral of war veteran Harold Percival who died without close friends and family. 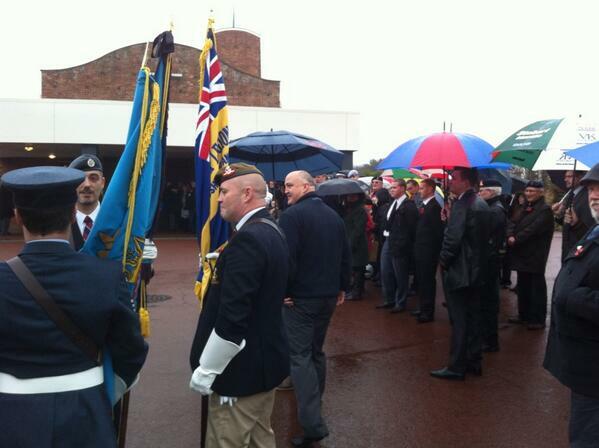 Harold Percival&#39;s funeral in Lytham. Mourners young and old. 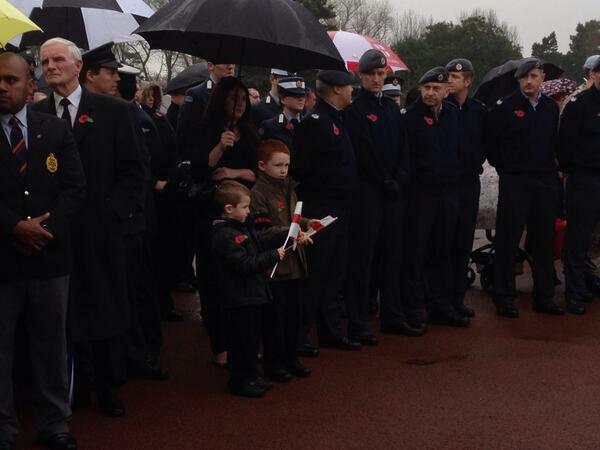 Harold Percival's funeral in Lytham. Mourners young and old. 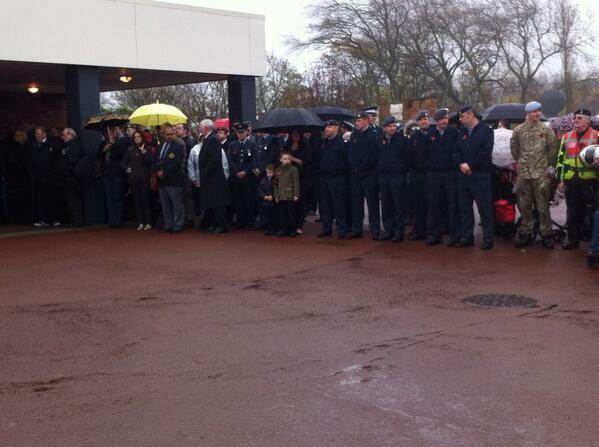 More service personnel arriving at Harold Percival&#39;s funeral in Lytham. More service personnel arriving at Harold Percival's funeral in Lytham. Harold Percival is set to get a huge send off. People here tell me they&#39;re honoured. Harold Percival is set to get a huge send off. People here tell me they're honoured. 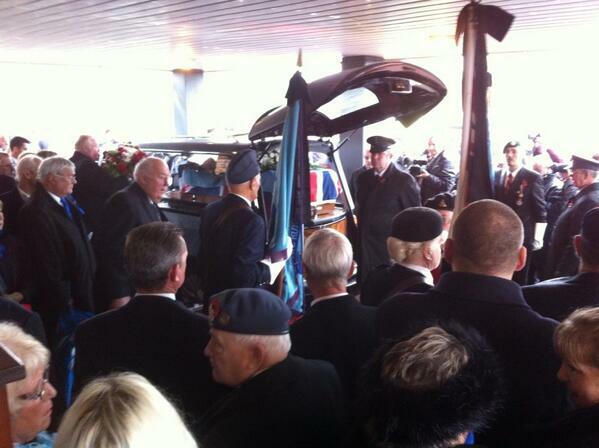 Harold Percival's coffin, draped in a union flag before the funeral. At the 11th hour the Last Post will be played before Harold Percival is taken into the chapel service. The Dambusters theme plays as Harold Jellicoe Percival&#39;s coffin is carried into the chapel. Crowd of 300+. The Dambusters theme plays as Harold Jellicoe Percival's coffin is carried into the chapel. Crowd of 300+. 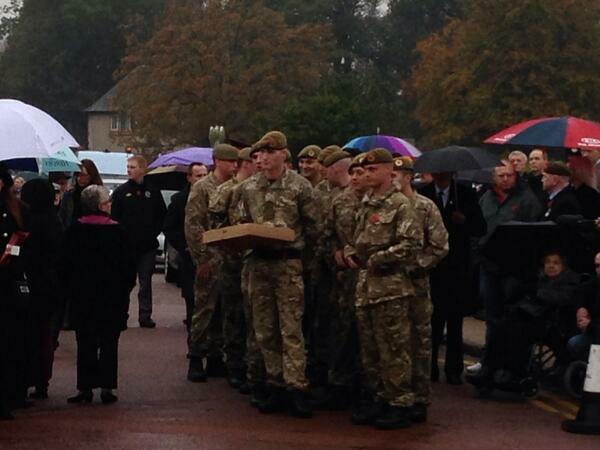 An army cadet wears a poppy during the funeral in Lytham St Annes.